Despite a humdrum production report and negative news on Antas in the March quarter, OZ Minerals ((OZL)) is still making headway. As Shaw and Partners points out, there are myriad growth options the company has developed over the past four years, after being considered a “one-trick pony”. Moreover, the established asset, Prominent Hill, has also overcome challenges to extend mine life, substantially. Production at Prominent Hill was significantly below guidance in the March quarter, as mining rates were affected by equipment availability. Copper grades were ahead of most expectations, at 1.92%. Copper production was 25.6% of the 2019 guidance of 95-105,000t. Gold production was 32,900 ounces in the quarter, 13% ahead of Macquarie's forecasts. Cash costs were US$0.49/lb, supported by gold credits. Costs were better than expected and reflected elevated gold production relative to copper. The company has warned that March quarter costs were “abnormally low” and should return to the guidance range. 2019 guidance for 115-125,000 ounces of gold was maintained. The company spent $116m on its next development, Carrapateena, in the quarter and brokers note underground development rates have increased significantly. Contact was made with the orebody on April 11 and the project remains on track for commissioning in the December quarter. The scoping study for the block cave will be upgraded to a pre-feasibility study, with an investment decision expected in 2021. Credit Suisse suggests the block cave could be funded internally, assuming a reduction in dividends, but this excludes any assumptions around development expenditure in Brazil or West Musgrave. At West Musgrave, total tonnage in the quarter dropped by -15% because of the removal of oxides from the economic cut-off level. 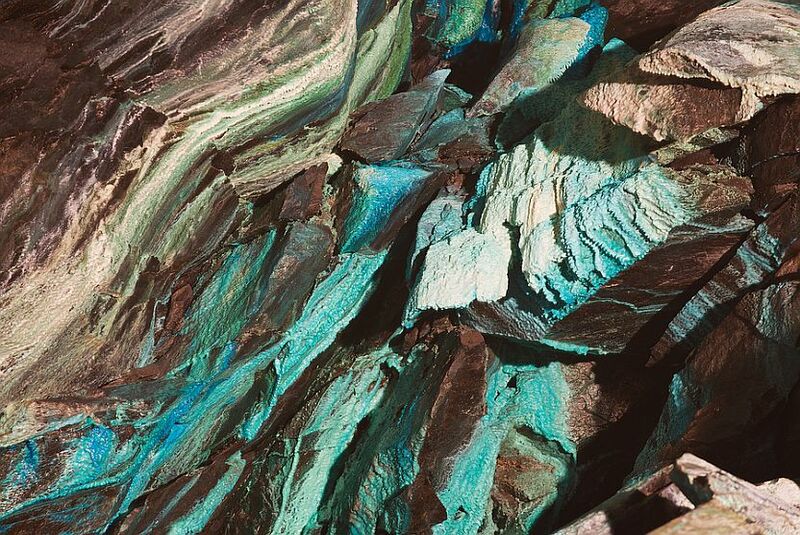 Credit Suisse is more confident in the mine, as the conversion of inferred resources has lifted the indicated part by 26%, to 141mt, and this improved definition is now 59% of the total resource. Still, the broker suggests the project is a less robust resource, subject to elevated remote area costs. A pre-feasibility study is due in the September quarter. Production and costs at Antas were materially below expectations, with copper production -42% below forecasts and gold -8% below. This is the sole operating asset in the suite of Brazilian projects. Credit Suisse envisages plenty of opportunity but considers value conversion is some way off for the portfolio as a whole. No 2019 guidance has been provided on the asset and OZ Minerals will release an updated mine plan and resource and reserve estimate for Antas in the June quarter. Ord Minnett finds Antas problematic because of lower grades. All-in sustaining costs (AISC) were a high US$2.85/lb, and a fix is required to make the asset viable, in the broker's opinion. Macquarie reduces throughput and grade assumptions to reflect the run rate. This translates to cuts of more than -30% to copper production and a 30% increase in cash costs for the remaining life of the Antas project. The company will release an updated mine plan and resource and reserve estimate for Antas in the June quarter. Management has acknowledged that the run rate in the first quarter is the best indication for the outlook for the mine. Macquarie has also reduced mining inventory assumptions that shorten the mine life to just over three years. While forecasts for Prominent Hill and Carrapateena are unchanged the broker makes some adjustments to incorporate additional grade dilution at Antas. Antas now accounts for less than 1% of the broker's valuation of OZ Minerals. Ord Minnett remains attracted to OZ Minerals' exposure to long-term copper markets and the growth potential, although believes the stock is fair value. The broker awaits a pullback in the share price in order to turn more positive. Shaw and Partners, not one of the eight stockbrokers monitored daily on the FNArena database, maintains a Buy rating with a $13 target and Citi, while disappointed in the quarterly update, also sticks with a Buy rating. Morgan Stanley, however, continues to believe the stock is fairly valued, albeit there is growth potential. FNArena's database shows three Buy ratings, four Hold and one Sell (Credit Suisse). The consensus target is $11.29, suggesting 6.7% upside to the last share price. Targets range from $9.50 (Credit Suisse) to $12.30 (Macquarie). See also, OZ Minerals Greatly Expands Copper Horizons on March 7 2019.